Welcome to Sunny Gymz. 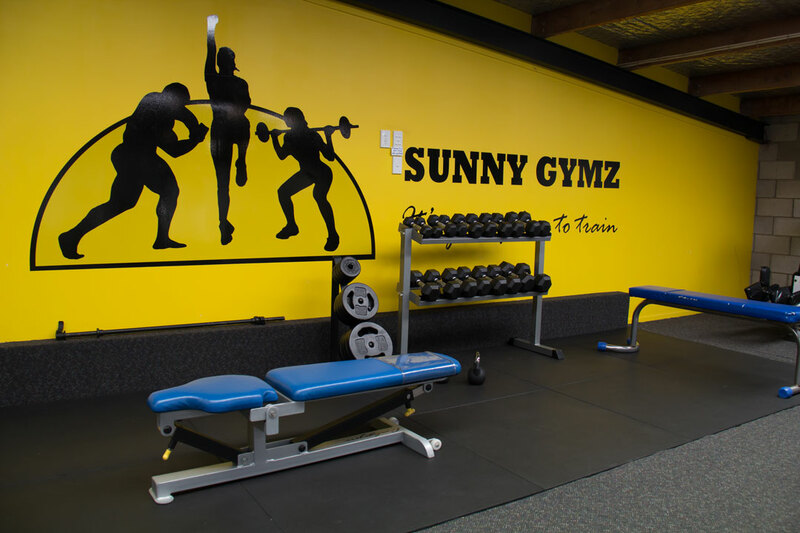 No matter what your fitness level, you’ll feel comfortable at Sunny Gymz – Its your place to train! With a sociable and friendly atmosphere, you could meet new friends. Sunny Gymz hosts the Les Mills group aerobic classes, a world-wide phenomenon with over 19,000 clubs performing their classes by over 130,000 instructors in 100 countries. Sunny Gymz is one of these Les Mills licensee clubs and is currently the only facility in the Eastern Bay performing over 17 classes each week with five different programmes to suit all fitness levels. The classes are action packed, full of fun, taught by experienced and qualified instructors to uplifting music – and exercising is the bonus! They cover a range of fitness abilities from the beginner to the elite. Group fitness classes are upstairs where there are two spacious studios, one with plenty of room to workout when theres no class running, this is also available to hire for kapa haka practices. Theres also a child friendly corner where you can pop your children in to play so you can continue to exercise. In studio 2 there are circuit & cardio equipment with a Ladies only time Monday to Friday from 12noon . So if you are new to exercise or want to train somewhere quiet, then is is the place for you! The gym has a enclosed air conditioned studio for RPM (spin bike class). Bookings are essential for this class. Check out our information pages about the classes and our class timetable. If classes are not your forte, there is a large selection of machine weights, free weights and cardiovascular equipment. The weights room is huge with lots of equipment to tone every muscle. 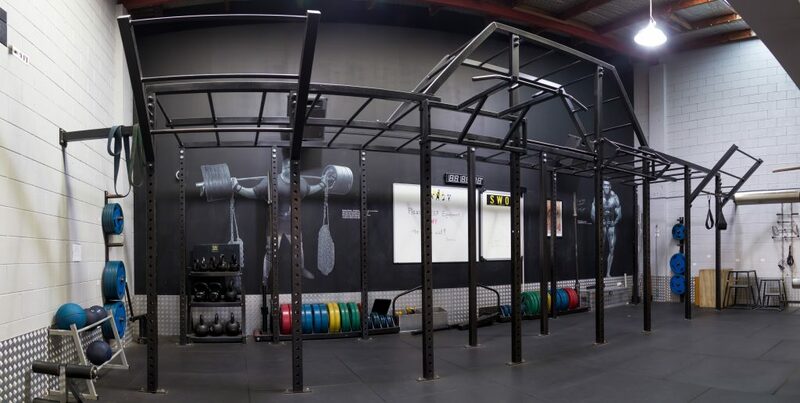 The weights room is like no other gym in Whakatane, there’s plenty of equipment and SPACE to workout, especially at those busy times – having to wait for equipment is highly reduced. The cardio area has plenty of bikes, rowers, treadmills, and cross trainers. At the back of the gym there is an out door training area used in the warmer months of the year (when its not raining). This area can be used for tyre flipping, there are boxing bags, a multi rack (a smaller version of the one inside), barbells/plates and battle rope. When you first join the gym, you can get a complimentary consultation with a trainer so they design an exercise regime to suit your health & fitness goals – these trainers are also available during our staffed hours if you need help with your technique, spotting when doing heavy weighted exercises & any other help with your training. If you need that extra push to exercise then a popular choice is to consult one of the certified personal trainers who will personally help you achieve your desired goals, they can train you one on one for an extra cost. Sunny Gymz is wheelchair accessible on the ground floor including showers/toilets. Work out whenever you want, thanks to our 24 hour access! Sick of the ‘don’t have time to exercise’ excuse? Well that’s no longer an issue thanks to our 24 hour access! Come in and exercise day or night (or both)! Your safety is vitally important to us, we have an array of security measures in place to protect you, including; our security cameras (that can be accessed off site) We are focused on ensuring your safety, allowing you to get your workout done convenient to you. In order to gain 24 hour access members are required to hold a gym membership and are 16 years and older. New members must come for your couple of visits during staffed hours, so you get used to our facilities while there is staff available & then you must BOOK in for an induction. Conditions do apply. To see some of our facilities, check out our gallery, or visit us for a full tour. No appointment necessary during the day to view (unless it’s during our peak time 3pm-6.30pm please give us a call so we can arrange a gym tour with you).